often go unnoticed and undiagnosed. DS children usually have short, wide necks, the airway is narrow making breathing difficult; the tongue is enlarged and swallowing is continuously problematic; the weak muscle tone (hypotonia) from infancy adds to the probability of OSA. At the close of the presentation, Tom anxiously approached me and introduced himself as one of the proud fathers of a DS child. Tom then proceeded to tell me his story, “Everything you said described me.” He continued: “I’m an executive at Caterpillar (world headquarters located in Peoria, Il) and I struggle to stay awake throughout the day. I fell asleep at a stoplight, waiting for it to turn green, so my wife began driving me to work. We have 8 children so this was difficult for her. A few years back, my doctor recommended nasal pillows with a chinstrap; I couldn’t tolerate the chinstrap so my doctor put me on a full face mask, the pressure was at a 22 and complications set in and I found myself unable to were it. My doctor then recommended our last option, the UP3 surgery. I knew it would be a difficult surgery, but I was desperate and felt like this was my last chance. The surgery helped for a short time, but then the drowsiness returned. Last week I fell asleep in the middle of my sentence while talking to a co-worker. My wife and I have decided that I need to retire and apply for disability.” Tom was 51 years old with a great career and large family responsibilities. My first concern was that Tom was untreated and needed help now. The following day, Tom presented as a patient in my office and we began MRA treatment. His AHI score was 115. We delivered his appliance and he returned for his two-week follow up my office. He was driving again and looked like a different man! Tom was elated, but I knew he was still in danger so I called his pulmonologist and arranged for a split night PSG using the appliance only for the first part of the test. Tom’s AHI was reduced to a 31 with the appliance alone, then a minimally invasive CPAP(nasal pillows only) combined with the Herbst MRA was titrated and the final AHI was reduced to a 4 with the CPAP pressure at a 10. In the eyes of the pulmonologist, I wasn’t just a dentist, but rather a sleep specialist, which I could not claim. He saw me as this due to my stand-alone sleep practice, which has my complete focus. We began a series of conversations and determined the best treatment for OUR patient was a combined therapy approach. With the oral appliance in place and functioning as the ‘work horse’ we applied nasal pillows and brought his AHI to a 4. It is important to note that the appliance had to be perfect; I use Gergens Orthodontic Lab because I can depend on the consistency of the product they provide. Combined therapy was the right choice for in this case and I continue to evaluate combined therapy for every case. Quality of life is more valuable than position, titles, or money. When we, as dentist, can change the course of a life due to treatment that is within our means to provide, what a privilege! It also heightens our responsibility to society and building relationships with all medical providers. David Gergen CDT opened his family-owned Gergen’s Orthodontic Lab in Phoenix, AZ in 1986 and now employees over 80 people. David Gergen has been a nationally respected dental lab technician for over 25 years. 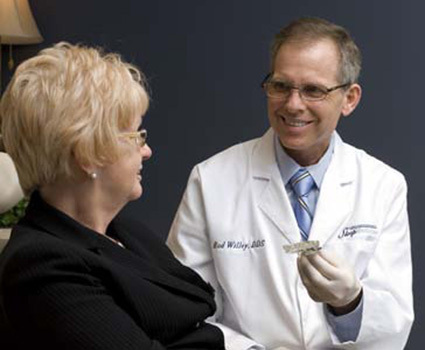 He received the award for “The Finest Orthodontic Technician in the Country” given by Columbus Dental in 1986. He also received a lifetime achievement award by Dr Harold Gelb Academy as Americas greatest Orthodontic technician of all time, in 2012. 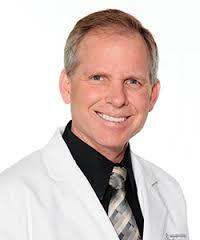 He has worked for some of the pioneers in the orthodontic and sleep dentistry fields. Gergen and his father John Gergen began Gergen Orthodontic labs in 1984 and have grown it into one of the most respected labs in the country. One of his proudest achievements is receiving The National Leadership award for Arizona Small Businessman of the Year in 2004. David is the Dental Director of the American Sleep and Breathing Academy and he has also taken a spot at Tufts University teaching seminars for the Continuing-Ed program on Dental Sleep Medicine. David Gergen, CDT and President of Pro Player Health Alliance, has been a nationally respected dental lab technician for over 25 years. He received the award for “The Finest Orthodontic Technician in the Country” given by Columbus Dental in 1986. He also has been appointed Executive Director of the American Sleep and Breathing Academy Dental Division, a national interdisciplinary academy dedicated to sleep training and education with over 60,000 members. David rolled out of bed on December 4, 1982 and had his career “ah ha” moment. He knew he was going to be an orthodontic technician and he knew he was going to help people all over the country to help treat their sleep disorders in partnership with their dentists. He has worked for some of the pioneers in the orthodontic and sleep dentistry fields. He was the personal technician for the likes of Dr. Robert Ricketts, Dr. Ronald Roth, Dr. A. Paul Serrano, Dr. Clark Jones, Dr. Harold Gelb, Dr. Joseph R. Cohen, Dr. Rodney Willey, Dr. Allan Bernstein, and Dr. Thien Pham. One of his proudest achievements is receiving The National Leadership award for Arizona Small Businessman of the Year in 2004. The post Man on a Mobile Mission appeared first on Sleep Diagnosis and Therapy. The post STOP-Bang Superior to Epworth? appeared first on Sleep Diagnosis and Therapy.